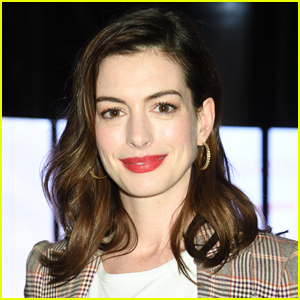 Taylor Swift Debuts Pink Hair at iHeartRadio Music Awards 2019! Taylor Swift has arrived on the red carpet at the 2019 iHeartRadio Music Awards on Thursday (March 14) at the Microsoft Theater in Los Angeles. The 29-year-old entertainer gave fans a sneak peek at her look just arriving at the event, writing, “Bout to walk out on the @iheartradio carpet, thought I’d show you first.” You can see, Taylor added some pink coloring to her blonde hair to complete her look! 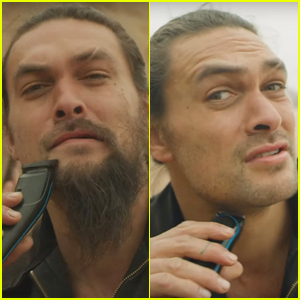 You can see the pink hair in the video below! Taylor will be on hand to accept the Tour of the Year Award. 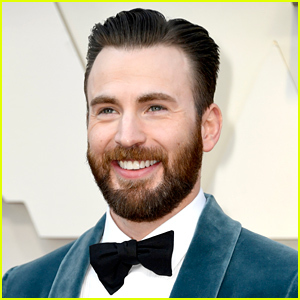 The show will be hosted by The Masked Singer winner T-Pain. Make sure to tune in at 8pm on Fox! FYI: Taylor is wearing a Rosa Bloom romper, Sophia Webster shoes, State Property Fine Jewellery earrings, rings by Fernando Jorge, Stefere, Jacquie Aiche, and EF Collection, and an Edie Parker bag. Shay Mitchell Shows Off Blonde Locks at iHeartRadio Music Awards 2019! 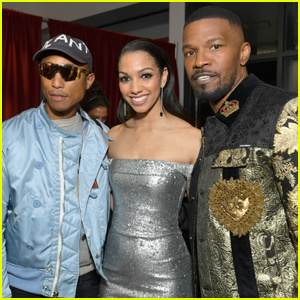 Jamie Foxx & Pharrell Williams Meet Up at iHeartRadio Music Awards 2019! 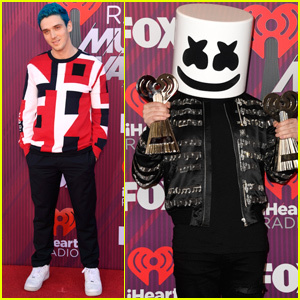 Best New Artist Nominees Lauv & Marshmello Step Out For iHeartRadio Music Awards 2019! 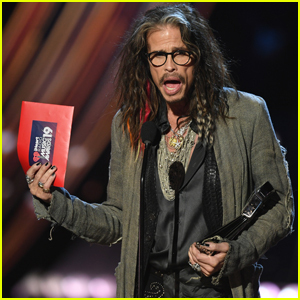 Steven Tyler Presents Song of the Year at iHeartRadio Music Awards 2019! 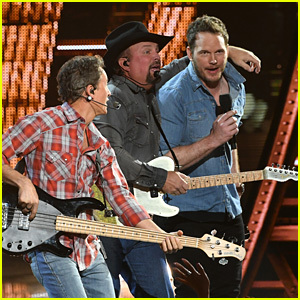 Chris Pratt Joins Garth Brooks for Surprise Performance at iHeartRadio Music Awards 2019! Betty Who Goes Sheer at iHeartRadio Music Awards 2019! 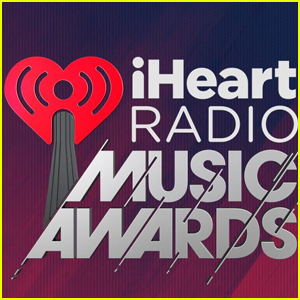 iHeartRadio Music Awards 2019 - Complete Winners List! 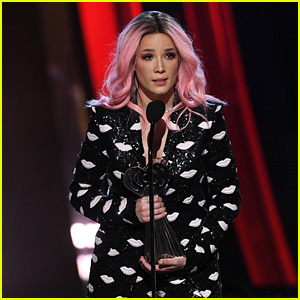 Halsey Accepts Fan Girl Award at iHeartRadio Awards 2019 - Watch Her Speech! 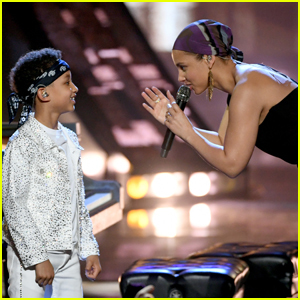 Alicia Keys Brings Son Egypt on Stage During iHeartRadio Music Awards 2019 Performance - Watch! Maren Morris Shimmers at the iHeartRadio Music Awards 2019! Ariana Grande Performs 'Needy' for iHeartRadio Music Awards 2019 - Watch! 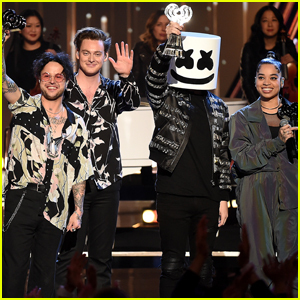 Marshmello, Lauv, Lovelytheband & Ella Mai Perform Best New Artist Medley at iHeartRadio Music Awards 2019!